This year, LIFEDesigns will celebrate our Client Awards at our Annual Picnic on August 4, 2018 at 11:30 am! Award nominations are accepted until Friday, July 20, 2018. You can submit nominations directly through our website at lifedesignsinc.org or return mail with the form included. If mailing, mail to 200 E. Winslow Rd., Bloomington, IN 47401 attn: Development. To be eligible for an award, the client nominated must have been with LIFEDesigns for at least 6 months, and awards recognize achievements made in 2018. Social Butterfly Award—An award for gains made in improving social skills. Nominations should be based on a client’s successes in improving social skills, making friends, and participating in recreational activities with others. Super Skills Award—An award for the most improvement in self-help and independent skills. Nominations should be based on learning or improving self-help skills and making gains in independence. Happy Worker Award—An award for employment or personal business achievement. Nominations for a client’s success based on finding and maintaining employment this past year and/or starting their own business. Team Player Award—An award for most improvement in partnering and cooperating with staff and other clients in daily activities. Consider areas where an individual participates with others to clean, cook, assists others at work, as well as being a good role model to others. Helping Hand Award—An award for participating in community and volunteer activities. Consider an individual who shows true thoughtfulness for others in the community and goes out of their way to offer help on a regular basis. Questions about submitting an award? 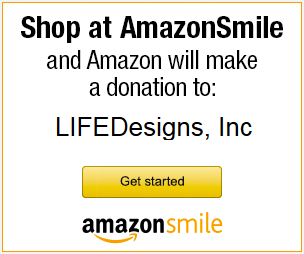 Contact Alyssa Walls at awalls@lifedesignsinc.org or (812) 272-7192.